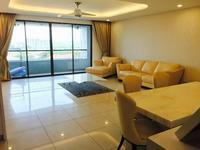 Ara Hill is a freehold condominium at Petaling Jaya in Selangor, developed by Sime Darby. Ara Hill comes with 20+ blocks of 3 to 10 storey building which comprises of a total of 400 units. The built-up size of the unit measures approximately 1,600 to 4,200 sf in size. Ara Hill provides a wide range of facilities at the condo such as swimming pool, tennis and squash courts, children's playground, nursery, gymnasium, retail outlets, walking path and a community hall. 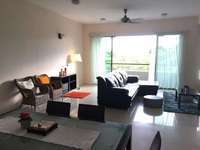 Apart from the facilities provided, the area is also equipped with 24-hour security with CCTV system. Ara Hill can be easily reached via Jalan Lapangan Terbang Subang, New Klang Valley Expressway (NKVE), Subang Interchange, Persiaran Tropicana Selatan and Federal Highway. Get me good deal if there is any units available in Ara Hill.